Fly with AirAsia with Fares from as Low as RM0.10! Yes, you read that right! 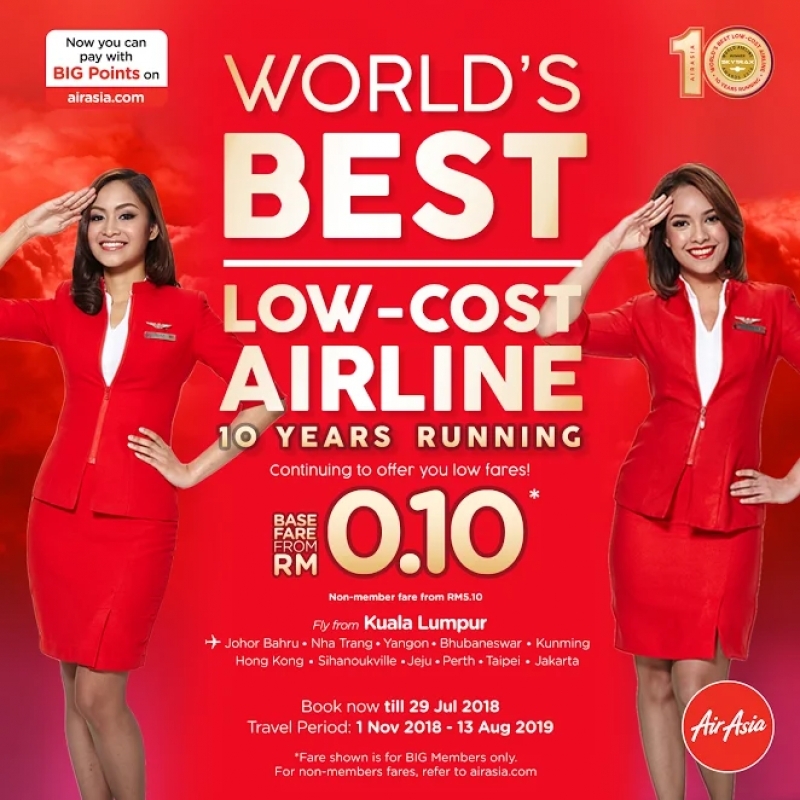 To celebrate its 10th consecutive year as the winner of the Skytrax World’s Best Low-Cost Airline award, AirAsia is offering a truly special gift to its loyal customers! For a limited time only, customers will be able to enjoy some epic promotional fares when flying from Kuala Lumpur. 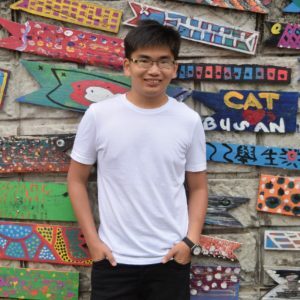 AirAsia Big members can fly with base fares from as low as RM0.10* to various destinations like Johor Bahru, Penang, Siam Reap, Krabi, and more (non-members: RM5.10 and above) ! Now that is an awesome deal! You can even make that dream vacation to Jeju Island, Taipei, or Perth happen for base fares starting from only RM100*! Hurry, book from now till July 29th 2018 and fly from 1st November 2018 till 13th August 2019 to enjoy these awesome offers! For more information and to snap up your tickets before it’s too late, head over to AirAsia’s official website now! *Prices reflected are for base fare only. Airport taxes and fees not included.